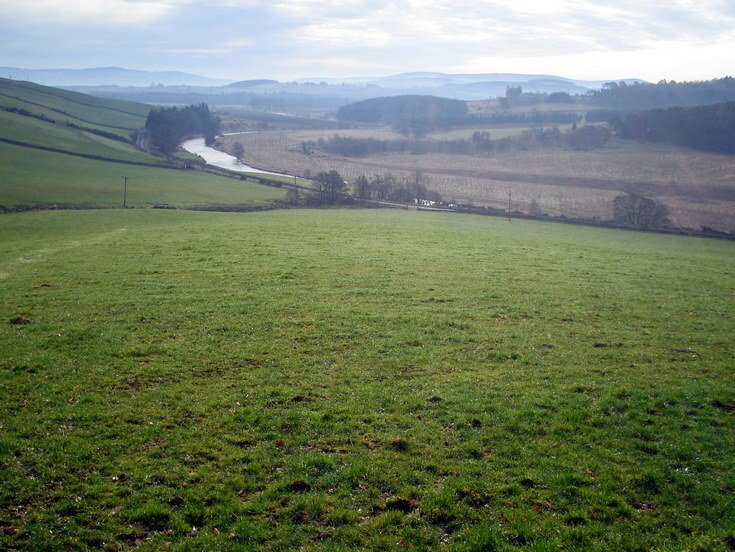 In the far distance, left to right, can be seen Green Hill at Whitehouse, and Correnie Moor and Benaquhallie. Alford lies in the morning mist between there and the vantage point for this photograph, which is on the road to Tulloch from the A944. View looking south east.